Election day is Tuesday, Nov. 6, 2018. Ballots must be received by 7 p.m.
Ballots are out and drop-off locations and polling centers are open for the 2018 mid-term election. For many voters in Colorado, the ballot is a long one. Here you will find links and information on how to vote, as well as information on the 13 statewide issues. In order to receive a ballot in the mail, residents must register or update their registration on or before Oct. 29. After then, voters must visit a polling location in order to register and vote. You can even register to vote on election day. You can check your registration status with the Colorado Secretary of State's office. If you have lost or damaged your ballot, you can go to a polling center and obtain a ballot there. All ballots must be received by 7 p.m. on Tuesday, Nov. 6. Postmarks do not count. Having trouble deciding how to vote on retaining judges? The Colorado Office of Judicial Performance Evaluation can help. 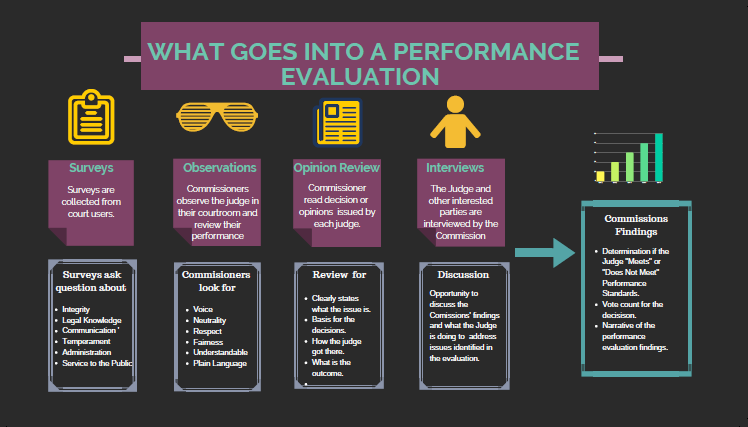 You can select your county for a full listing of recommendations and see detailed information on each judge. The State Ballot Information Booklet, also known as the Blue Book, is available here. You can also revisit our interviews with Congressional District 5 candidates, incumbent Doug Lamborn (R) and challenger Stephany Rose Spaulding (D). The Colorado Constitution states that in order to be a state senator or representative, a person must be at least 25 years old. Amendment V seeks to lower the age requirement for serving in the state legislature from 25 to 21. The proposed constitutional amendment was referred to the ballot by the legislature. A YES on Amendment V means that you want to lower the age qualification for a member of the Colorado General Assembly to 21 years. A NO vote on Amendment V means that you would like the wording to remain the same, keeping the minimum age for a member of the Colorado General Assembly at 25. Those who support the amendment believe excluding 21- to 24-year-olds from seeking election to the state legislature is unnecessary, based on the idea that a 21-year-old is considered an adult under the law. The argument in the Blue Book in favor of the amendment says voters can judge whether a candidate possesses the maturity, ability, and competence to hold political office. "In addition, allowing younger candidates to run for office encourages the civic engagement of young people," the book says. The Colorado Blue Book cites the following argument against the amendment: "The current age requirement strikes an appropriate balance between youth and experience." The argument suggests younger candidates may lack the maturity and expertise to be effective legislators, hindering his or her ability to represent constituents effectively. 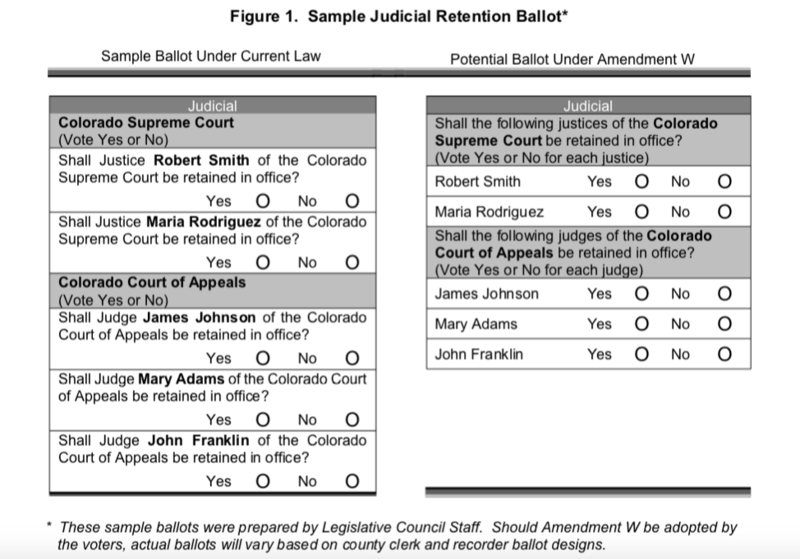 Under the current state constitution, the ballot must be formatted with a separate retention question for each justice and judge up for retention. Amendment W would change the format so the retention question is only asked once for each type of court, followed by a list of each individual justice or judge seeking retention on that court. A "yes" or "no" option would appear next to each name. A visualization of what the judicial retention question looks like now and what it would look like should the measure pass. The proposed constitutional amendment was referred to the ballot during the 2018 legislative session. A YES on Amendment W means that you support a change in the format of the ballot, with only one retention question being asked for each type of court followed by a list of individual justices or judges seeking retention on that court. A NO vote on Amendment W means that you would like the wording to remain the same, requiring that the ballot be formatted with a separate retention question asked for each justice and judge up for retention. Supporters of Amendment W say the initiative makes the ballot more concise and reader-friendly. According to the state Blue Book, those in favor argue "a well-designed and shorter ballot will allow voters to complete it more efficiently, which may encourage voter participation." An additional stated benefit is a possible reduction in printing and mailing costs for counties due to a more compact ballot. Opponents of Amendment W say it is unnecessary and risks confusing voters. As detailed in the state Blue Book, some argue that under the proposed changes, "voters may be uncertain whether they are casting votes in a multi-candidate election or for each individual justice or judge," potentially increasing the likelihood that voters will skip judicial retention questions. Amendment X seeks to remove the definition of "industrial hemp" from the Colorado Constitution and, instead, use the definition in federal law or state statute. Colorado is the leading producer of industrial hemp in the country and the only state with a definition of industrial hemp in its constitution. The current definition states that industrial hemp is "the plant of the genus cannabis and any part of such plant, whether growing or not, with a delta- 9 tetrahydrocannabinol [THC] concentration that does not exceed three-tenths [0.3] percent on a dry weight basis." As the Colorado Blue Book says, the definition of industrial hemp in federal law sets the same limit for THC concentration. Industrial hemp is an agricultural commodity that belongs to the cannabis family. It is not marijuana. Cultivated hemp has trace amounts of THC, typically around 0.3 percent. The material is used for food, fuel, medicine, paper, plastic substitute, rope, and textiles. As detailed in the Colorado Blue Book, all cannabis varieties including industrial hemp, are classified as controlled substances regulated by the federal Drug Enforcement Agency in the U.S. Department of Justice. The U.S. Congress currently has legislation pending regarding industrial hemp. A YES vote on Amendment X means that you support the removal of the definition of "industrial hemp" from the Colorado Constitution. A NO vote on Amendment X means that you want the current definition of "industrial hemp" to remain the in state constitution. Supporters of Amendment X believe that removing the existing definition of industrial hemp will allow Colorado’s hemp industry to remain competitive with other states as the regulatory landscape for hemp evolves. This is based on the belief that removing the definition from the constitution will allow the state to make adjustments in regulating hemp quickly and easily. Specifically, laws in statute can be changed by state lawmakers, whereas changing the constitution requires voter approval and a statewide election. Additionally, in the event that federal law changes, those in favor say the measure keeps Colorado in compliance with federal regulation. As described in the state’s Blue Book, Colorado voters added the definition of industrial hemp to the Colorado Constitution through the initiative process. Opponents of Amendment X say the measure may deviate from the voters' original intent. Others argue that Amendment X surrenders Colorado’s constitutional protections for hemp to the federal government. 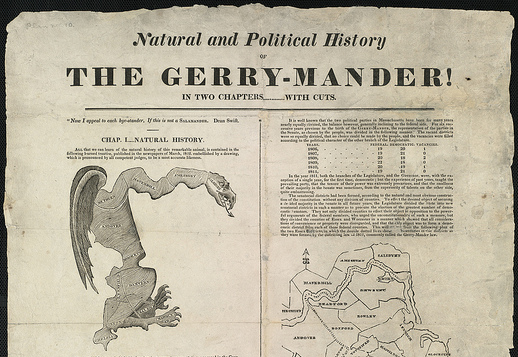 Amendment Y establishes a new process for congressional redistricting, seeking to end the practice of political gerrymandering—a process where congressional districts are purposefully drawn to favor one political party or incumbent politician over another. The measure calls for the creation of an Independent Congressional Redistricting Commission which would amend and approve congressional district maps. The commission would take this role from the General Assembly. The initiative also establishes a process for selecting commissioners and creates criteria the commission must use for adopting the state’s U.S. congressional district map. Per the language in the initiative, the commission would have 12 members, four from the state's largest political party (currently the Democratic Party), four from the state's second largest political party (currently the Republican Party), and four who are not affiliated with any political party. Lobbyists and politicians would be prohibited from serving on the commission. Amendment Y was referred to the ballot during the 2018 legislative session. A YES vote on Amendment Y says you support the creation of an independent commission to amend and approve congressional district maps, a responsibility which currently rests with the general assembly. Those who support Amendment Y say the measure limits the role of partisan politics in the congressional redistricting process by transferring the legislature’s role to an independent commission. Proponents say it creates a system of checks and balances, ensuring that no one political party controls the commission. Additionally, supporters say the measure brings more transparency to the redistricting process and gives increased opportunity for the public to participate. As written in the state’s Blue Book, those in favor say Amendment Y brings structure to the redistricting process by using clear, ordered, and fair criteria in the drawing of districts. "By prioritizing factors such as communities of interest, city and county lines, and political competitiveness, it provides specific direction to the commission about how it should evaluate proposed maps." Opponents of Amendment Y worry the measure takes accountability out of the redistricting process. Per the state’s Blue Book, some argue "unelected commissioners are not accountable to the voters of Colorado, unlike state legislators who are subject to election and campaign finance requirements." Those against the initiative also say the commission selection process is "complex," "complicated" and "random." Similarly, as argued in the Blue Book, while the goal of the random selection may be to remove politics from redistricting, unaffiliated commissioners with partisan views could still be selected. Thus, the selection process may not result in an impartial commission that can promote consensus. Amendment Z establishes a new process for state legislative redistricting—seeking to end the practice of political gerrymandering—a process where congressional districts are purposefully drawn to favor one political party or incumbent politician over another. The measure replaces the Colorado Reapportionment Commission with the Independent Legislative Redistricting Commission. Under the current state constitution, the Reapportionment Commission is required to draft preliminary maps for state senate and house districts and hold public hearings on the maps throughout the state. Final maps must have the support of a simple majority of commissioners, and they are submitted to the Colorado Supreme Court for approval. The reapportionment commission consists of 11 members appointed by legislative leaders, the Governor, and the Chief Justice of the Colorado Supreme Court. If approved, Amendment Z would create an Independent Legislative Redistricting Commission with 12 members, four from the state’s largest political party (currently the Democratic Party), four from the state’s second largest political party (currently the Republican Party), and four who are not affiliated with any political party. The U.S. and Colorado constitutions require state legislative districts to be as equal in population as possible. Voting standards, practices, and procedures cannot be changed in a way that denies or limits the right to vote based on race or color or membership in a language minority group. In accordance with the federal Voting Rights Act of 1965, a minority group’s voting strength must not be diluted under a redistricting map. communities of interest be preserved where possible. Amendment Z maintains these criteria, but limits the splitting of cities, towns, and counties to those circumstances when a community of interest, which is a group sharing specific state legislative interests, has a reason for being kept together in a district that is more essential to the fair and effective representation of voters. A YES vote on Amendment Z says you support a new process for state legislative redistricting, replacing the Colorado Reapportionment Commission with an Independent Legislative Redistricting Commission to be made up of 12 members, four from the Democratic Party, four from the Republican Party, and four who are not affiliated with any political party (in accordance with current political party numbers in the state). A NO vote on Amendment Z says you want to keep the state legislative redistricting process as is with a Colorado Reapportionment Commission required to draft preliminary maps for state senate and house districts. The reapportionment commission consists of 11 members appointed by legislative leaders, the Governor, and the Chief Justice of the Colorado Supreme Court. Those in favor of Amendment Z say it limits the role of partisan politics in the legislative redistricting process. As detailed in the state’s Blue Book, "through the commissioner selection process, checks and balances are in place to ensure no one political party controls the commission." Maps would be drawn by non-partisan legislative staff and each map's approval would require a supermajority vote of the commission. Supporters say that encourages political compromise. The amendment arguably keeps political parties and politicians from controlling the redistricting process. It also prevents the adoption of maps that protect incumbents, candidates, or political parties, or maps that dilute the electoral influence of racial or ethnic minorities. Arguments against Amendment Z include claims that it reduces accountability in the redistricting process. Specifically, opponents say the selection process for the commission will result in a group of commissioners who are not elected and not accountable to elected officials. Similarly, as argued in the Blue Book, while the goal of the random selection may be to remove politics from redistricting, unaffiliated commissioners with partisan views could still be selected. Thus, the selection process may not result in an impartial commission that can promote consensus. Much like the 13th amendment to the U.S. constitution, the Colorado Constitution contains a clause (section 26 of Article II) that says "There shall never be in this state either slavery or involuntary servitude, except as a punishment for crime, whereof the party shall have been duly convicted." The language in this clause can be interpreted to mean that people convicted of crimes can be subjected to forced labor in prison without pay or restitution. If passed, Amendment A would remove the exception, making it unconstitutional to force labor upon anyone, including convicted criminals. "The following struck-through text would be deleted: ‘There shall never be in this state either slavery or involuntary servitude except as a punishment for crime, whereof the party shall have been duly convicted.’"
The proposed constitutional amendment was referred to the ballot during the 2018 legislative session after passing the statehouse unanimously. A YES on Amendment A means that you support amending the Colorado Constitution by removing the exception. This would clarify that slavery and involuntary servitude are prohibited in all cases. A NO vote on Amendment A means that you would like the wording in the Colorado Constitution to remain the same. This would preserve the state’s ability to force labor on persons convicted of a crime. (2018 Blue Book): "This measure eliminates slavery and involuntary servitude in all circumstances." (2018 Blue Book): "The measure can be viewed as making a change to the Colorado constitution that is redundant." Related background: A very similar amendment, Amendment T, went before voters in 2016, but it was defeated by a narrow margin. Proponents of that amendment say they believe it failed because the wording on the ballot was confusing. The measure encourages the state legislature to adopt a new public school finance formula. Until that happens, the additional revenue generated by the measure must be spent as shown in the table below from the state’s Blue Book. Of the $1.6 billion in new revenue generated in the first year of implementation (budget year 2019-20), $866 million would have to be spent on specific funding criteria. The remaining $738.6 million would go toward public education. The proposed amendment was referred to the ballot by petition. A YES on Amendment 73 means you support raising the individual income tax rate for individuals with a taxable income above $150,000, increasing the corporate income tax rate to 6.0 percent, and setting new assessment rates for property taxes levied by school districts. A NO on Amendment 73 means that you would like the individual income tax rate for individuals with a taxable income above $150,000 to continue as is, the corporate income tax rate to remain the same, and residential assessment rates for property taxes levied by school districts should continue to be 7.2 percent. The Capitol Coverage project examined the issue here. Supporters of Amendment 73 argue that, despite having one of the healthiest economies in the nation, P-12 education funding levels in Colorado have not recovered from the Great Recession. The measure provides a dedicated income tax increase to fund public education, which supporters argue would alleviate the impact of budget cuts including limiting teacher salaries, increasing class sizes, limiting mental health and counseling services for students, and narrowing course offerings, per the state’s Blue Book. By stabilizing the residential assessment rate and lowering the nonresidential assessment rate for school district property taxes, proponents argue Amendment 73 provides property tax relief for business property owners, farmers, and ranchers who have paid an increasingly higher proportion of property taxes compared to residential property owners. Additionally, the measure allows local school districts to prioritize how to spend the new revenue in ways that best fit their community. 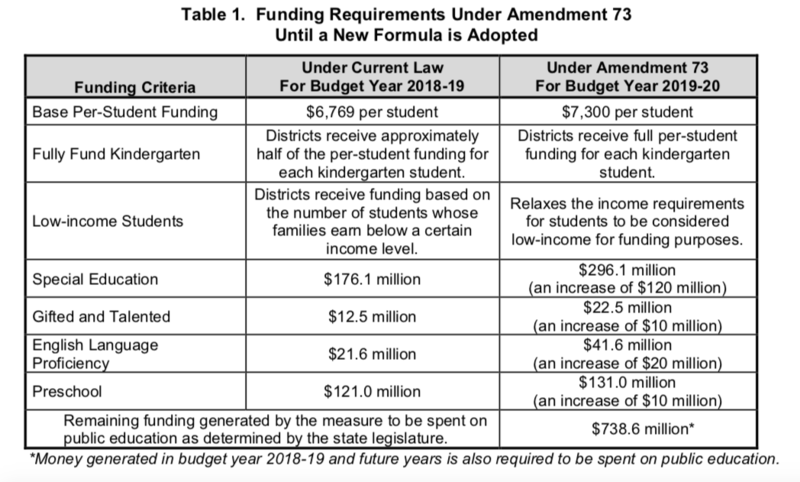 Those against Amendment 73 say the measure imposes a tax increase without any guarantee of increased academic achievement, arguing that increasing the state income tax rate could negatively impact the state’s economy. As written in the Blue Book, "individuals will have less money to spend, save, and invest, and businesses will have less money to invest in their workers." The top income tax rate under the measure would be 8.25 percent, the ninth highest state income tax rate in the country, which opponents say puts Colorado at a competitive disadvantage when it comes to attracting and retaining workers and businesses. Another argument is that Amendment 73 increases the property tax burden on homeowners, providing a tax cut for businesses at the expense of residents, as well as further complicating an already complex property tax system. The measure does not require the state legislature to adjust the income tax thresholds to account for inflation, meaning more taxpayers could end up in the higher tax brackets as their incomes are adjusted for inflation. That could result in additional revenue that could only be spent on education, per the state’s Blue Book. Amendment 74 would change the Colorado Constitution to expand the circumstances in which the government must compensate property owners for financial losses resulting from government action. Under current Colorado law, the government is required to pay a private property owner when taking property through eminent domain, or in situations where regulation or other actions result in a near total loss of property value or use. Under Amendment 74, that rule would be changed to require that property owners are compensated for any loss of property value resulting from a federal, state or local law or regulation. A YES vote on Amendment 74 means you want to change the Colorado constitution to require the government to compensate property owners for any loss of property value resulting from a law or regulation. A NO vote on Amendment 74 means you don’t want to change the Colorado constitution to expand the circumstances under which government must compensate property owners for loss of property value. Supporters of Amendment 74 argue that existing Colorado law doesn’t go far enough to protect property owners from possible financial losses resulting from laws and regulations. The oil and gas industry-backed Committee for Colorado’s Shared Heritage says the measure "protects all private property owners," and argues that the change will make elected officials and policymakers more accountable to voters. Opponents of Amendment 74 warn that the measure would be costly to taxpayers, who would be forced to foot the bill for litigation and payments under the new law. They say the amendment would undermine the ability of local governments to make and enforce important laws -- ranging from zoning regulations to building codes. The amendment is opposed by a bipartisan group of lawmakers, including Colorado Governor John Hickenlooper and Colorado Springs Mayor John Suthers. Amendment 75 would change the rules in Colorado regarding campaign contributions in state and local races. State law currently limits the amount an individual or organization can contribute to a candidate. The caps vary depending on the race, ranging from $400 for a district attorney candidate to $1,500 for a gubernatorial campaign. However, there is no limit on the amount candidates can give to their own campaigns. Under Amendment 75, if a candidate gives more than $1 million to his/her own campaign, then the cap on contributions for all candidates in that race will be increased fivefold. A YES vote means you want to change the state constitution to increase the cap on campaign contributions in races where a candidate gives at least one million dollars of his/her own money to his/her own campaign. A NO vote means you want to leave the current system in place, where the limits on campaign contributions remain unchanged no matter how much money an individual candidate in a given race contributes to his/her own campaign. 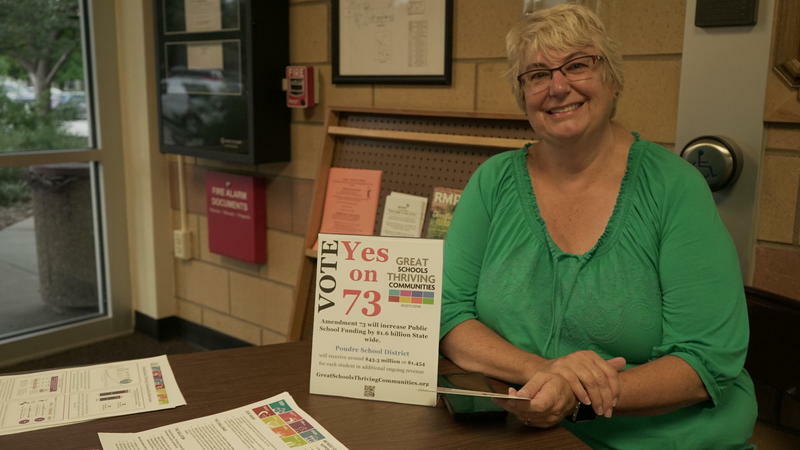 Supporters of Amendment 75 say the change would level the playing field in state and local elections. They argue that the current system benefits wealthy candidates, who are able to contribute far more to their own campaigns than they could receive from donors. They say this creates a disadvantage for candidates who are not wealthy themselves, as they are limited in their ability to match the campaign resources of a richer opponent. Amendment 75, they argue, would help broaden the field of potential candidates and make for more competitive elections in Colorado. Opponents of Amendment 75 agree that Colorado’s campaign finance system needs to be reformed. However, they say that this is the wrong way to fix it. They insist that, rather than leveling the playing field, the change would instead open the door to more money in state and local politics. They worry the amendment could undermine existing campaign finance laws and exacerbate the negative effects of money in politics. Known as the "Fix Our Damn Roads" proposal, Proposition 109 asks voters if the state can increase its debt for the sole purpose of funding transportation projects, to include road and bridge expansion, construction, maintenance, and repair projects in Colorado. The proposal would not raise taxes or fees, rather it would allow the state to borrow money in the form of bonds. Repayment of those bonds would come from the state's general budget. The total borrowed amount would be $3.5 billion, with a repayment cost with interest--excluded from the state's spending limit--not exceeding $5.2 billion. The proposed initiative would also prohibit these borrowed funds from going toward other issues. The proposal also specifically identifies the transportation projects that would be funded through this initiative. These are specified beginning on Page 3 of the document here. A YES vote on Proposition 109 means you approve of the state borrowing money to fund specified projects without raising taxes or fees. A NO vote on Proposition 109 means you do not want the state to borrow money to fund specified projects without raising taxes or fees. Proposition 109 would directly impact the ability of the state to fast-track transportation projects. Without raising taxes, this measure allows the state to borrow the necessary funds to make investments in highways and roads. Proposition 109 allows the state to borrow funds without creating a new source of revenue to pay back the borrowed money. That means, opponents argue, that paying back the bonds could divert money from other needed investments allocated during the budget process. Opponents also argue that up to $1.7 billion in taxpayer money will be used to pay back interest alone. Proposition 110 seeks to raise money for transportation projects through an increase in sales taxes from 2.9 percent to 3.53 percent for 20 years. It would also allow the state to borrow up to $6 billion with a cap on interest so that the repayment amount does not exceed $9.4 billion. The funds generated for transportation projects would be distributed among the state (45 percent), local governments (40 percent) and multimodal projects (15 percent), which could include bike paths, sidewalks, and public transportation. A YES on Proposition 110 means you would like to raise the state sales tax and allow the state to borrow money in the form of bonds to help pay for transportation projects on the state and local level, as well as multi-modal projects. A NO on Proposition 110 means you would NOT like to raise the state sales tax and allow the state to borrow money in the form of bonds to help pay for transportation projects on the state and local level, as well as multi-modal projects. Proponents of Proposition 110 argue that the state needs to make immediate investments in infrastructure and must do so by creating a new sustainable revenue source. According to the Blue Book, multimodal transportation must be included to help address the growing population in the state. It also allows local communities to identify their own transportation needs. Opponents of Proposition 110 say transportation projects should be funded through the state budget and that any lack of money to do so is an issue of prioritization. According to the Blue Book, arguments against the measure include that it allocates too much money to the multimodal category and uses sales taxes, which opponents say are already high. Proposition 111 would introduce new regulations on payday lending in Colorado, and would significantly reduce the amount in interest and fees a lender can charge on a loan. Payday loans are typically small, short-term cash advances, which do not require a credit check or collateral from the borrower. Currently, payday loans cannot exceed $500 in Colorado, but lenders may charge an array of fees and a maximum interest rate of 45 percent. According to the Colorado Blue Book, the average Annual Percentage Rate (APR) on a payday loan was 129 percent in 2016, factoring in the combined costs of fees and interest. If passed, Proposition 111 would cap the APR of a payday loan at 36 percent. A YES vote on Proposition 111 means you want to impose new restrictions on payday loans in Colorado, capping the maximum Annual Percentage Rate of a payday loan at 36 percent. A NO vote on Proposition 111 means you want to leave the current payday lending system in place. Supporters of Proposition 111 say the state is not doing enough to protect borrowers from "predatory" loan practices. They argue that the high interest rates and fees charged by payday lenders can trap borrowers in a cycle of debt. They say reform is needed to ensure that borrowers are not charged more than they can reasonably repay. Opponents of Proposition 111 say the measure would effectively eliminate payday lending in Colorado. They argue that payday loans provide financial tools to people who are unable to get traditional credit and that they help people avoid late payment fees, bounced checks, and other costly financial outcomes. They also say that existing regulations already protect consumers effectively and the new rules are unnecessary. Currently, Colorado state law requires that oil and gas wells (including fracked wells) be at least 1,000 feet from high-occupancy buildings like schools and hospitals, 500 feet from homes, and 350 feet from playgrounds. If passed, Prop 112 would mandate a 2,500 feet distance between any new oil or gas well and any one of the above-described sites. Prop 112 also requires a 2,500 feet distance between new oil or gas wells and any area designated as "vulnerable." Vulnerable areas include "playgrounds, permanent sports fields, amphitheaters, public parks, public open space, public and community drinking water sources, irrigation canals, reservoirs, lakes, rivers, perennial or intermittent streams, and creeks, and any additional vulnerable areas designated by the state or a local government." There are exceptions. Proposition 112 oil and gas well setback requirements would not apply to federal lands, nor would they apply to pre-existing, currently active oil or gas wells. If an old abandoned well were re-activated, the new setback requirements would apply. The Initiative 97 campaign gathered nearly 100,000 petition signatures to get onto the ballot. Once on, Initiative 97 became Proposition 112. A YES vote means you support the move to change distance requirements for new oil and gas developments to 2,500 feet from occupied buildings and all other areas designated by the proposition as "vulnerable." A NO vote means you do not support the move to change distance requirements for new oil and gas developments to 2,500 feet from occupied buildings and all other areas designated by the proposition as "vulnerable." (2018 Blue Book): The primary group supporting Proposition 112 is Colorado Rising. They say, "The industry has shown blatant disregard for public health and safety, and the current state regulatory body – the Colorado Oil and Gas Conservation Commission (COGCC) – has not provided responsible protective regulatory oversight to prevent inappropriate siting of toxic fracking operations adjacent to homes, schools and water sources." (2018 Blue Book): The primary group opposing Proposition 112 is Protect Colorado. They say the measure would "devastate our economy, wipe out thousands of jobs, and endanger our environment. [It] would threaten private property rights and could even cost Colorado residents hundreds of millions of dollars in lawsuits." In addition to electing a new governor this November, Colorado voters will also decide the fate of 13 statewide ballot questions, including two specifically aimed at funding transportation projects. But beyond that shared goal, propositions 109 and 110 differ greatly. A computer science major in college, 25-year-old Garrett Hause would fit in at a Silicon Valley startup. But he said he prefers to stay busy and work with his hands, so he decided to do something different. 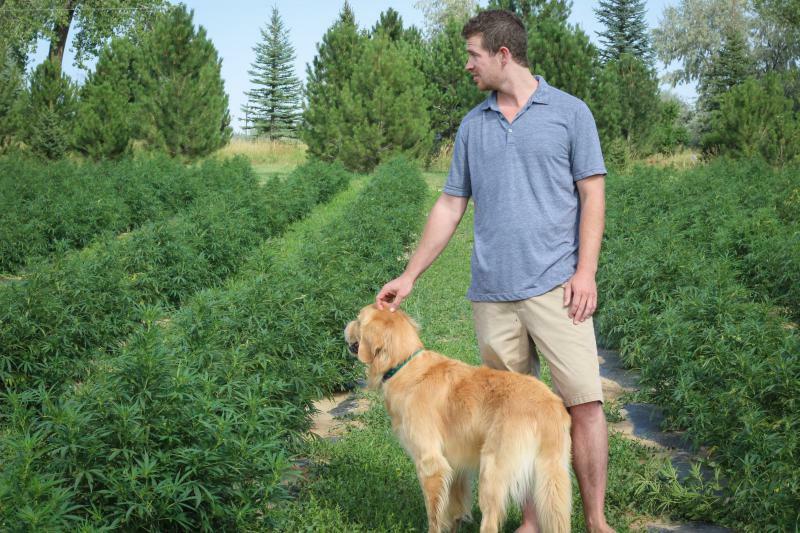 Last year he took over his grandparents’ farm in Lafayette, Colorado and replaced the fields of alfalfa with five acres of hemp.